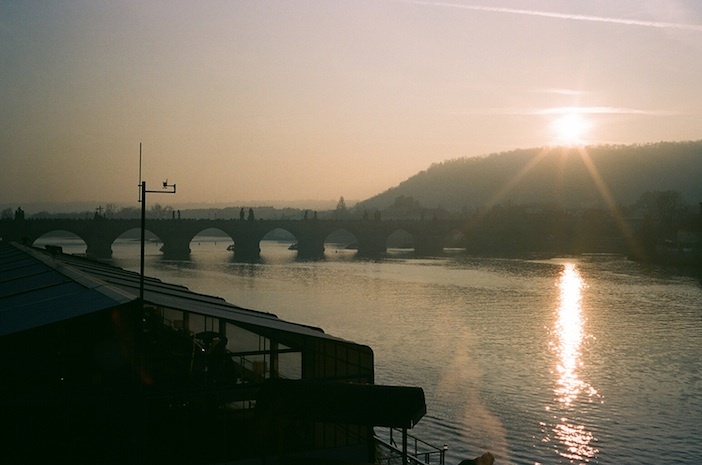 Over Charles Bridge. Over Prague Castle. Over Zizkov TV Tower. 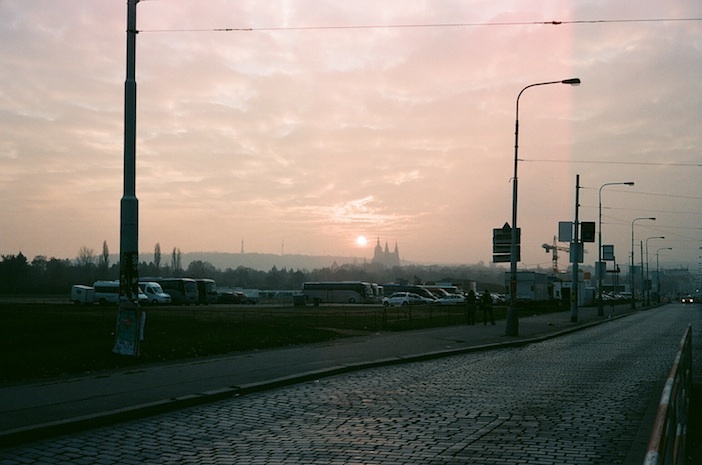 The sunset in Prague. 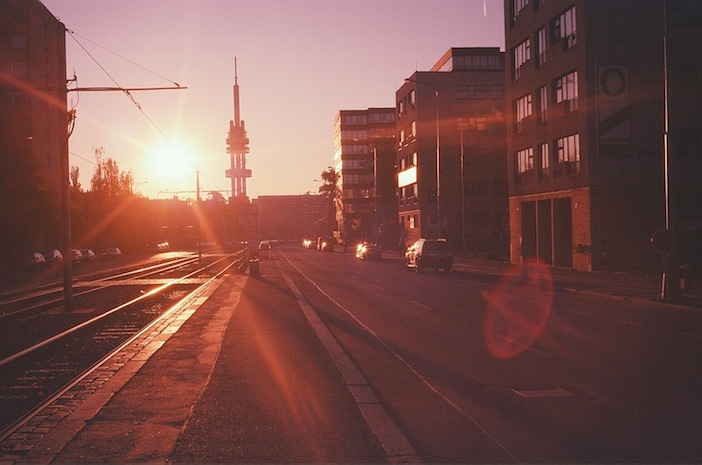 ... and Zizkov TV Tower.